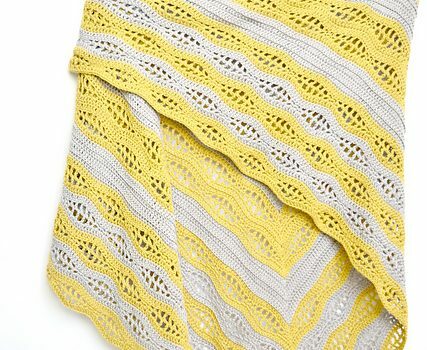 This easy triangle crochet shawl pattern for beginners will make you feel like you won the lottery! Learn how to crochet a quick and easy shawl that’s also elegant and modern. This beautiful and modern triangular shaped shawl is worked from top to down and the pattern is very beginner friendly. 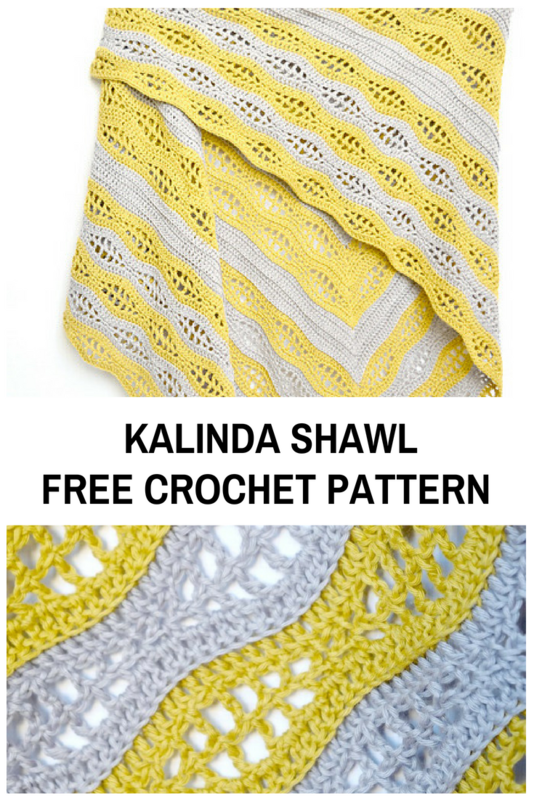 The elegant Kalinda Shawl free crochet pattern by Sylwia Kawczyńska is a very versatile shawl pattern that’s great for many wearing options and suitable for casual settings and for formal evenings. Yarn SCHEEPJES Whirlette 100g = 455m, 60% cotton, 40% acrylic, colors: A (853) Mango 1 skeins and B (852) Frosted 1 skein or SCHEEPJES Whirl 1 yarn cake – 215g = 1000m, 60% cotton, 40% acrylic, Green Tea Tipple. This Skull Shawl Looks Fantastic! Check out the original source for Kalinda Triangular Crochet Shawl Free Pattern For Beginners with all the directions and full written pattern at: MyCrochetory. Thanks to Sylwia Kawczyńska for the article inspiration and featured image.